The guest room phone just got smarter. Teledex M Series Bluetooth hotel phones enable guest device pairing to stream and talk. 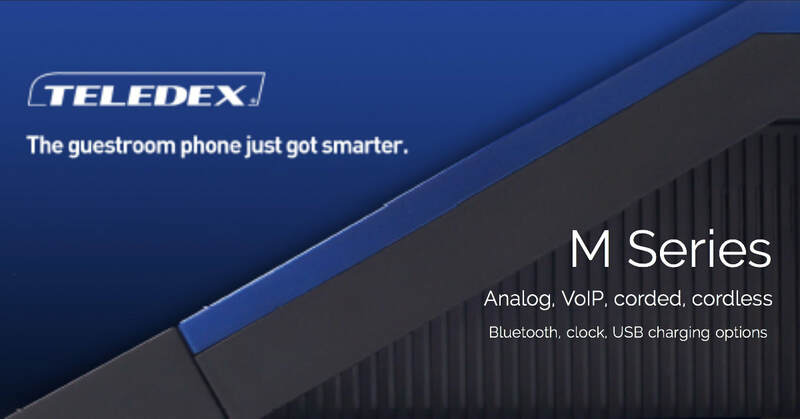 Teledex M Series hotel phones with optional Bluetooth pairing help keep your guests connected to stream sound, and place and receive in-room calls over their own cell network via their personal smart phone or tablet. Need a cordless handset in the room without the cost? ​Guests may pair to the M Series Bluetooth phone and use their smart mobile device as the remote cordless handset throughout the room! Click here for M Series product details, here to request a quotation, or here to arrange a consultation. Click here for product details, or here to request a quotation. Scitec industry standard 2500 Series desk and wall sets get the job done. Scitec brand industry standard 2500 Series single-line analog phones are designed to operate in the most demanding work environments. Click here for details, here to view the video, or here to request a quotation. 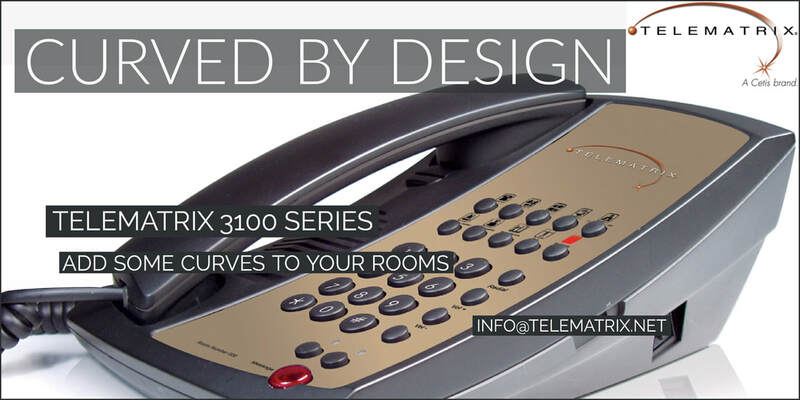 Teledex I Series phones are built to embrace the sleek style of the modern hotel guest room. 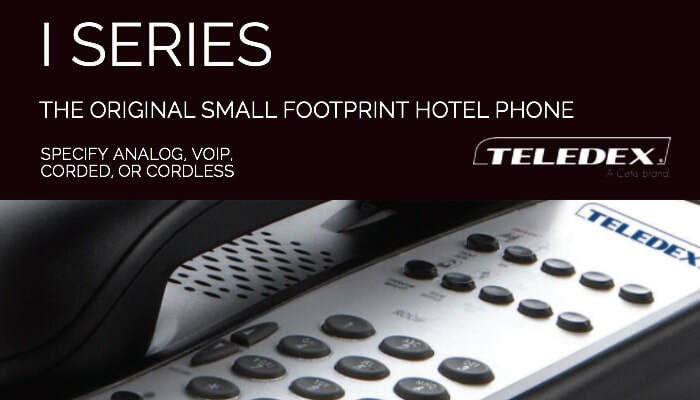 Teledex I Series is the original small footprint hotel phone designed to save space on the nightstand and desk. 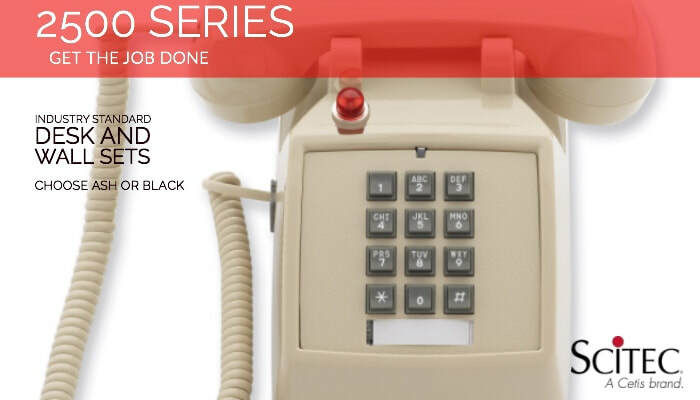 ​I Series delivers a familiar guest user interface in single and two-line, analog and VoIP, corded and cordless configurations with 0, 3, 5, or 10 guest service keys, optional speakerphone, and patented OneTouch voice mail retrieval. Click here for product details, here to view the video, or here to request a quote.